What a fun read! I really enjoyed the setting and the characters in this novel. All of the maps were also a lot of fun and added an interesting mystery component. I really enjoyed the twists and turns that the characters faced, and I thought the setting for the novel was beautiful. I could perfectly picture the blue ocean and the jutting cliffs of the town! 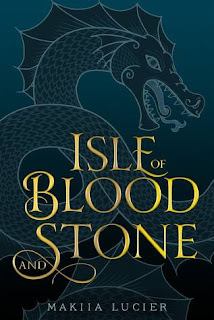 Isle of Blood and Stone was a fast paced read, but I kept feeling like every time I got sucked into the story, a little of the fire would burn out. It was like the author was holding the reader back a little bit. There would be a suspense build up and then a quick change to a slower pace. I feel like this description is a bit misleading because not once did I think the story was boring. It was definitely enjoyable, just more of a slow burn entertainment... if that makes sense! 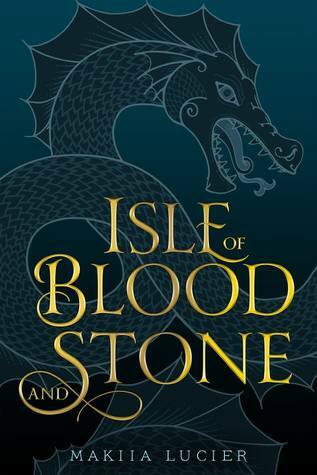 All in all, Isle of Blood and Stone was a great read and it was entertaining from start to finish. It was very different from most books I've read this year and I really liked its unique qualities. I would definitely recommend this novel to readers who enjoy YA fiction and I look forward to more novels from Lucier in the future. Thank you NetGalley and HMH books for sharing this novel in exchange for an honest review.